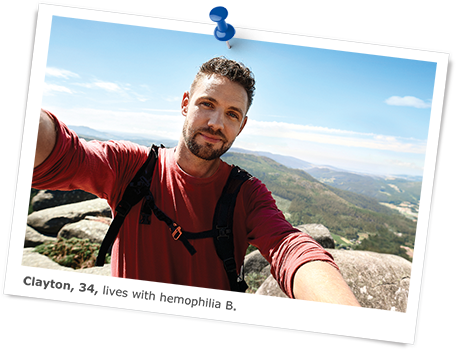 Rebinyn®—reach for high factor levels in hemophilia B.
Rebinyn® is an injectable treatment used to replace clotting Factor IX. 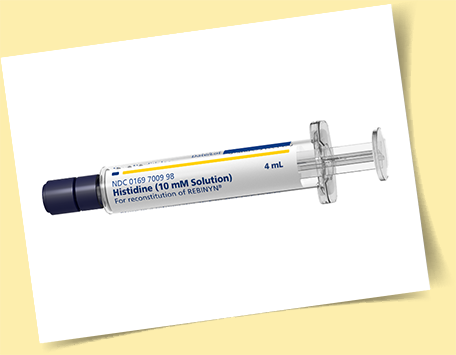 It is used to treat and control bleeding in adults and children with hemophilia B. Your health care provider may give you Rebinyn® when you have surgery. 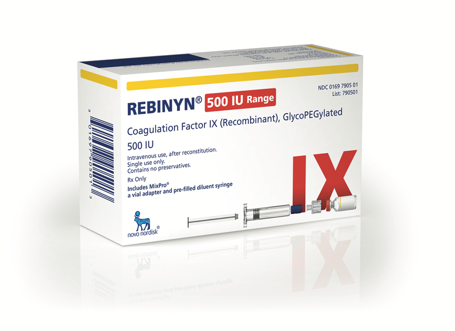 Rebinyn® provides extended bleed protection by achieving high factor levels and keeping them higher, longer. Rebinyn® controls bleeds when they happen. 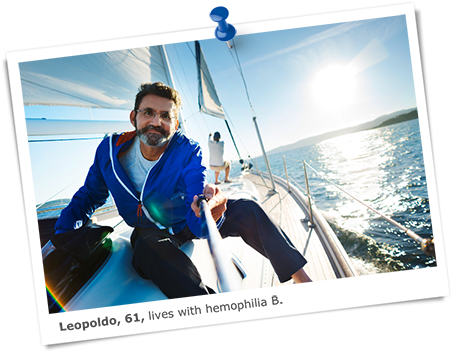 In a clinical study, Rebinyn® treated 98% of bleeds in adolescents and adults with 1-2 infusions. 95% of patients and HCPs rated bleed control as successful (defined as excellent or good) in 142 bleeding episodes. aResults shown are from the on-demand arm of the adolescent/adult clinical study in previously treated patients. In this study, 15 people were treated for on-demand bleeds. In 14 people, there were a total of 143 bleeding episodes. Rebinyn® is designed to fit your lifestyle with simplified dosing, fast infusions, and flexible storage. Rebinyn® can be infused in 1-4 minutes. 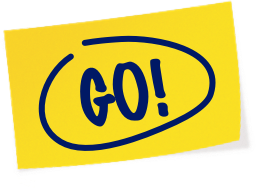 Getting started with Rebinyn® is easy. We’ll take you through the process step-by-step, so that you know what to expect.